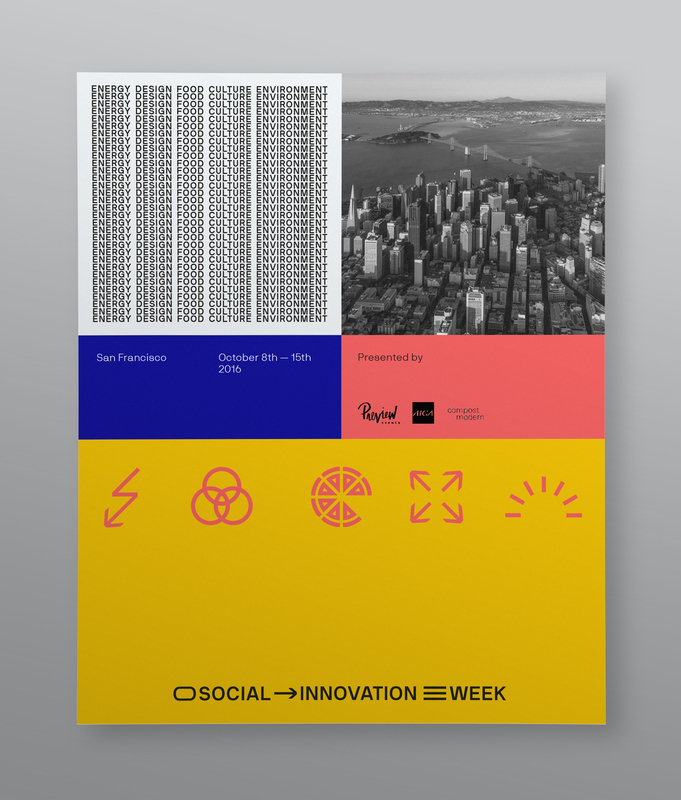 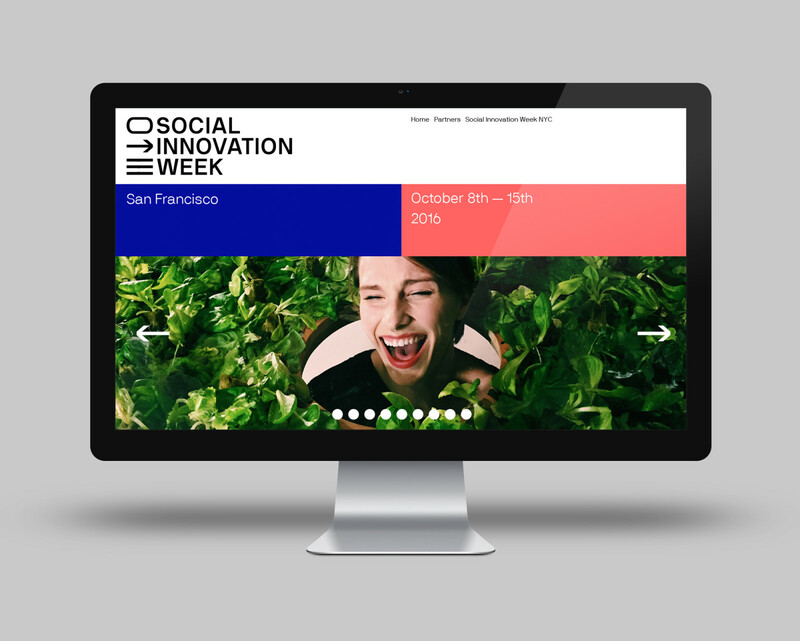 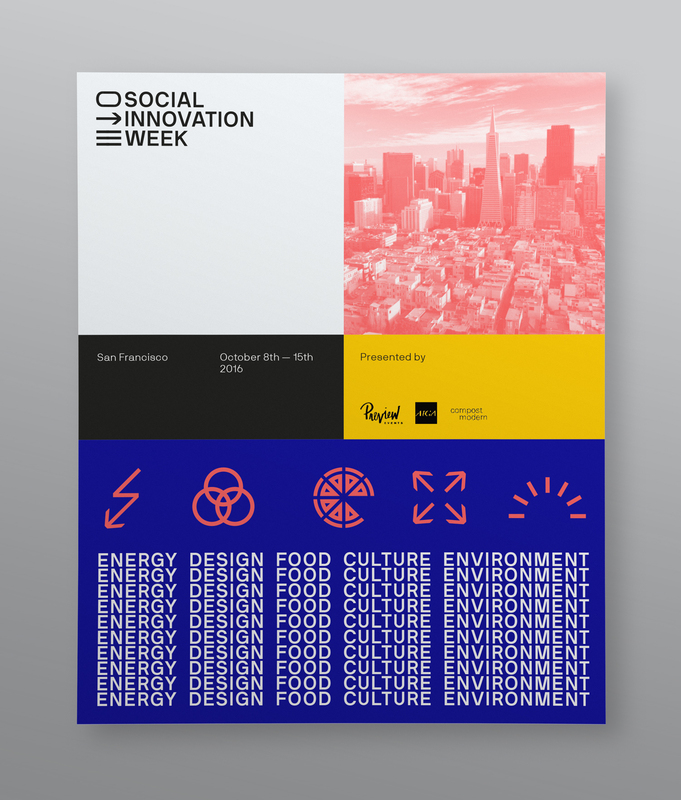 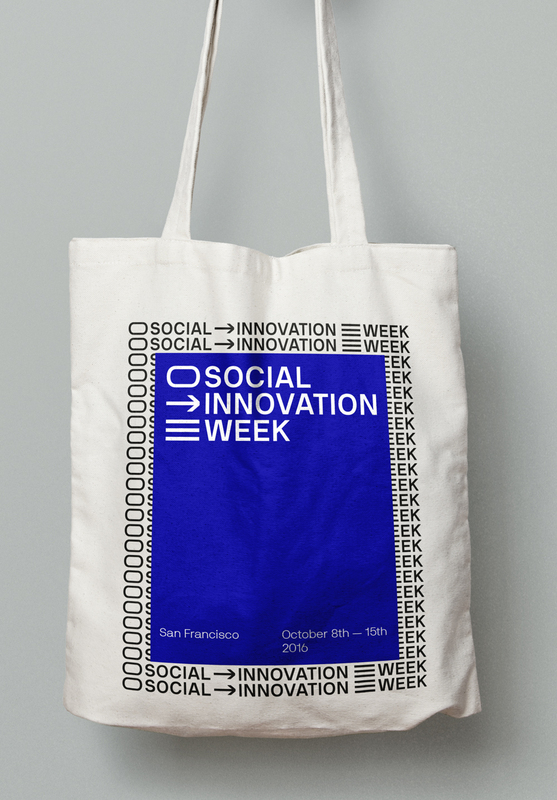 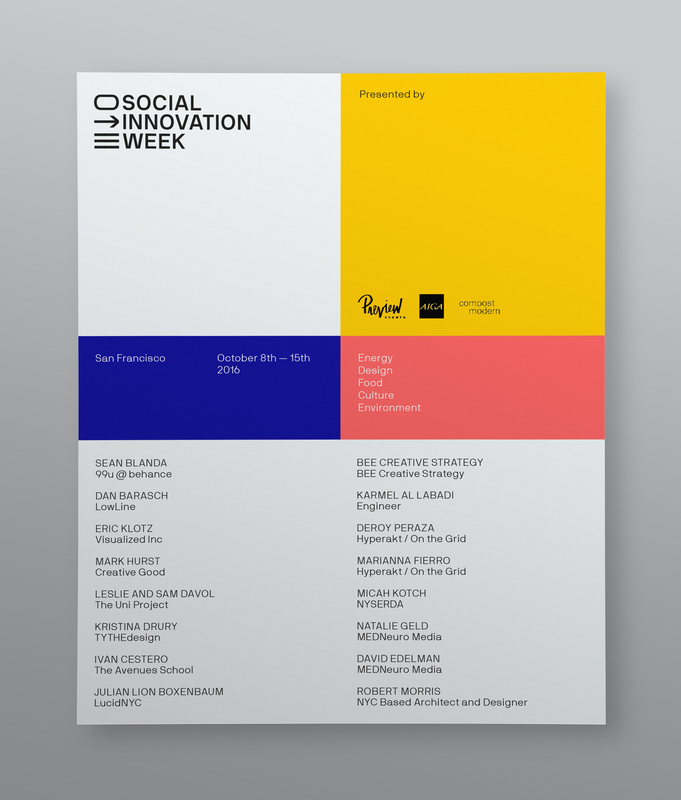 Social Innovation Week is an event hosted in San Francisco that introduces new methods and concepts in five different sectors: Energy, Design, Food, Culture & the Environment. 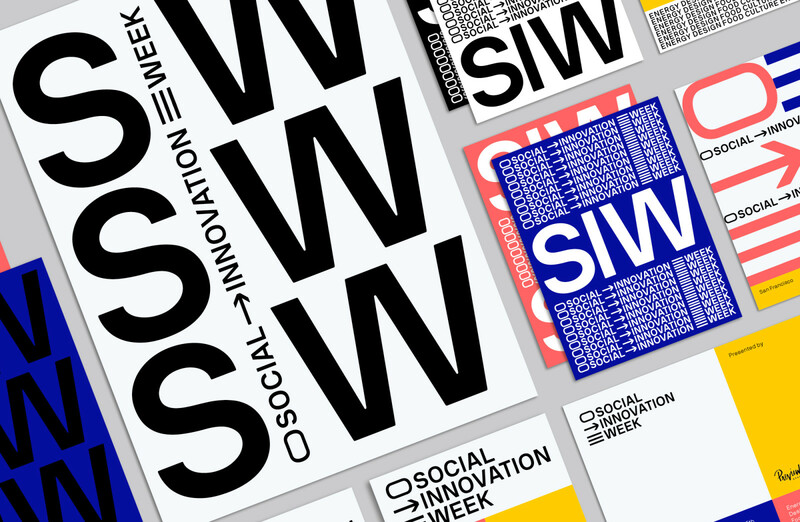 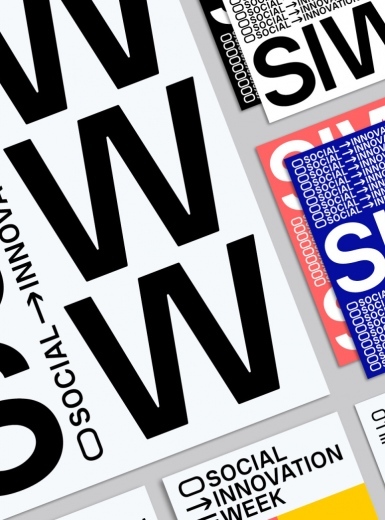 The branding of the event is based on typography, color and icons. 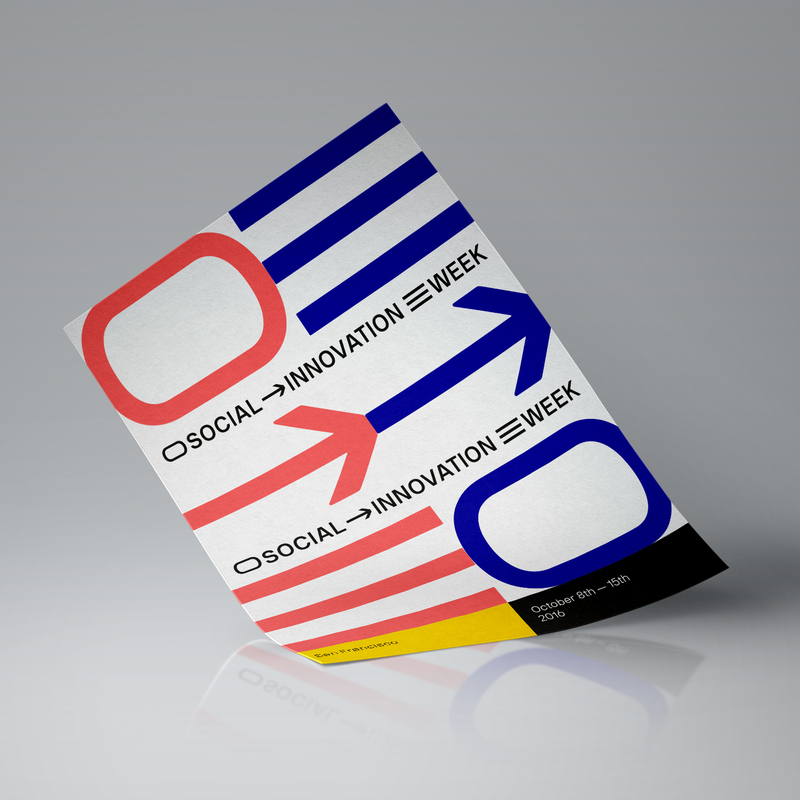 The main logo of the event is a variable one that can easily be adapted depending on the media. 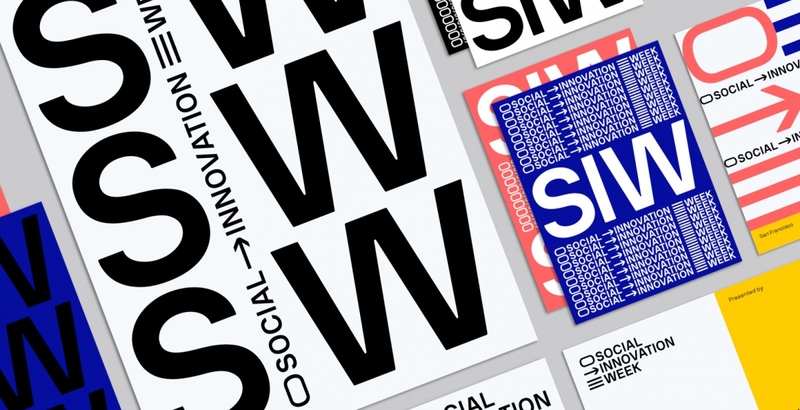 Also the graphic system based on a grid is able to be responsive and versatile to show contents. 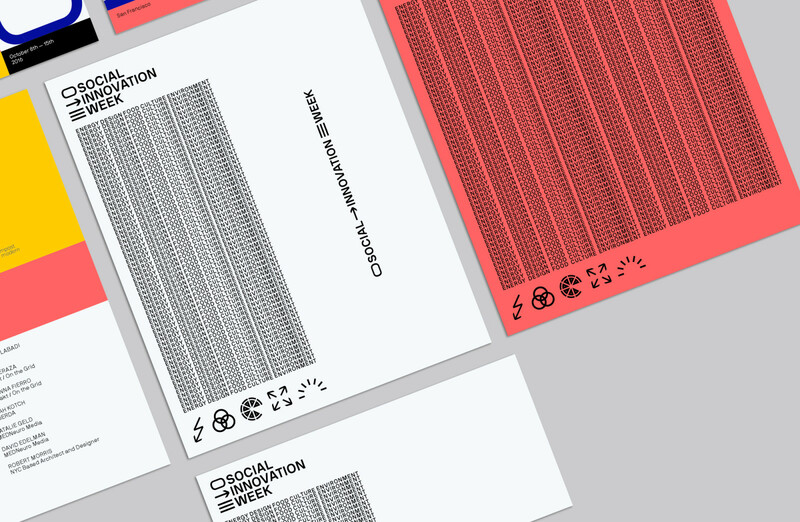 The strong palette color is key to achieve a unique language in which the event develops itself.